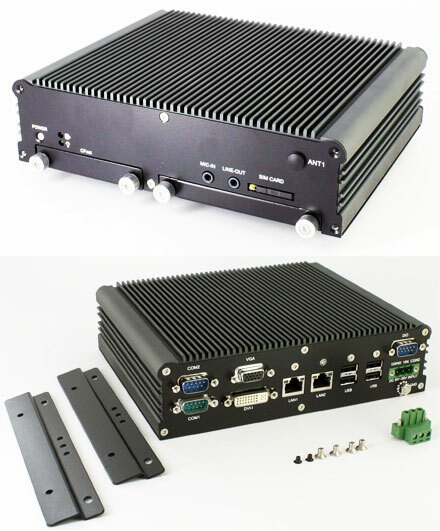 This MiniPC was especially designed for marine applications. The Marine-PC can be connected directly to the vehicle battery (12V/24V). The PC is completely fanless and is equipped with an Intel Atom D2550 2x1.86Ghz CPU and 2GB RAM. The PC comes with 1x antenna-output and 3x Mini-PCIe slots.